Will you get busted for CBD in Texas? HOUSTON - Harris County Commissioner Adrian Garcia represents Precinct 2, an area where he was born and raised, so the ITC fire hit home as a major lesson learned by Commissioner’s Court, including the knowledge of how much the county has to depend on the industry to police itself. That was just one eye-opening revelation in our conversation on this week’s Houston Newsmakers. Garcia also discusses the efforts on bail reform, flood mitigation and the health challenges being faced by his constituents on the East side of Harris County. Four years ago when the first Black Restaurant Week was held in Houston it was just one week. Now, the popularity of the event means it’s now two weeks of food, information and fun. Mark Martin is the chairman of one of the events during the April 14 through April 28 event. "We have a business panel called Aroma, a Pop-Up Dinner for VIPs’s,” he said. “We also have a food truck festival called Soundbites and then, my favorite event is NOSH, a culinary showcase where Houston’s best African American caterers, chefs and restaurant owners get to showcase their culinary skills. One of those restaurants is Mikki’s Soul Food Café whose co-owner said to expect a culinary experience when eating the food inspired by his mother. 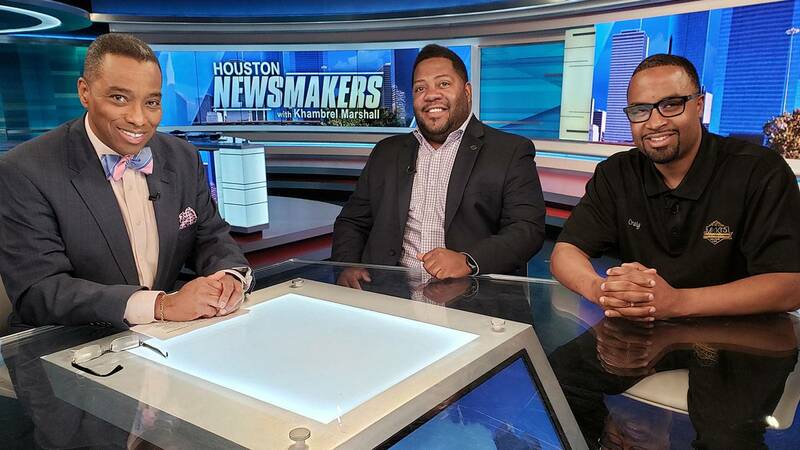 Houston Newsmakers with Khambrel Marshall airs Sunday at 10:30 a.m.